Julien recently played the role of ‘Porter Milgrim’ in a UK Tour of DEATHTRAP with Paul Bradley & Jessie Wallace. He also played the same role at Salisbury Playhouse. 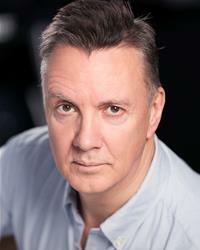 Prior to that he played ‘Baptista’ in TAMING OF THE SHREW with The Guildford Shakespeare Company, filmed the role of ‘Max Butcher’ in OCCUPIED HEARTS for FFP New Media as well as episodes of LAW & ORDER, HOLBY CITY, WPC 56 for the BBC and MY MAD FAT DIARY for Tiger Aspect. His other Theatre work includes LONG LIVE THE MAD PARADE at the Ashcroft Theatre, Croydon, ICEBERG, RIGHT AHEAD at Upstairs at the Gatehouse, FAITH, HOPE & CHARITY at the Southwark Playhouse, THE POWER OF YES, HER NAKED SKIN, BETRAYAL, DUCHESS OF MALFI and INVENTION OF LOVE at the National Theatre, MUCH ADO ABOUT NOTHING and LES LIASIONS DANGEREUSES at the RSC, THE WALTZ OF THE TOREADORS at Chichester, THE THREE MUSKETEERS at Bristol Old Vic, ANOTHER COUNTRY in the West End and PORCELAIN at the Royal Court. His other TV and film work includes MY FAMILY, HOLBY CITY, DOCTORS, LAND GIRLS, BREAKING THE MOULD and EASTENDERS all for the BBC. THE FALSE NUN, HARLEY STREET, LITTLE DEVIL , CROSSROADS for ITV, and 7 LIVES directed by Paul Wilkins. Julien recently played the role of ‘Porter Milgrim’ in Adam Penfold’s UK Tour of DEATHTRAP with Paul Bradley & Jessie Wallace. Other Theatre work includes THE POWER OF YES, HER NAKED SKIN, BETRAYAL, DUCHESS OF MALFI, and THE INVENTION OF LOVE at the National Theatre, MUCH ADO ABOUT NOTHING, ANTONY & CLEOPATRA, and LES LIASIONS DANGEREUSES for the RSC, THE WALTZ OF THE TOREADORS at Chichester, THE THREE MUSKETEERS at Bristol Old Vic, ANOTHER COUNTRY in the West End and PORCELAIN at the Royal Court. More recently his theatre work has included LONG LIVE THE MAD PARADE Ashcroft Theatre Croydon, ICEBERG, RIGHT AHEAD Upstairs At The Gatehouse,FAITH, HOPE & CHARITY at Southwark Playhouse, and THE TAMING OF THE SHREW for The Guildford Shakespeare Company. Julien has filmed OCCUPIED HEARTS and THE FALSE NUN for FFP New Media as well as episodes of LAW & ORDER, HOLBY CITY, WPC 56 for the BBC and MY MAD FAT DIARY for Tiger Aspect. His other TV and film work includes MY FAMILY, DOCTORS, LAND GIRLS, BREAKING THE MOULD and EASTENDERS also for the BBC. HARLEY STREET and LITTLE DEVIL for ITV, and 7 LIVES directed by Paul Wilkins. He has also completed several new writing projects with the National Film & Television School.